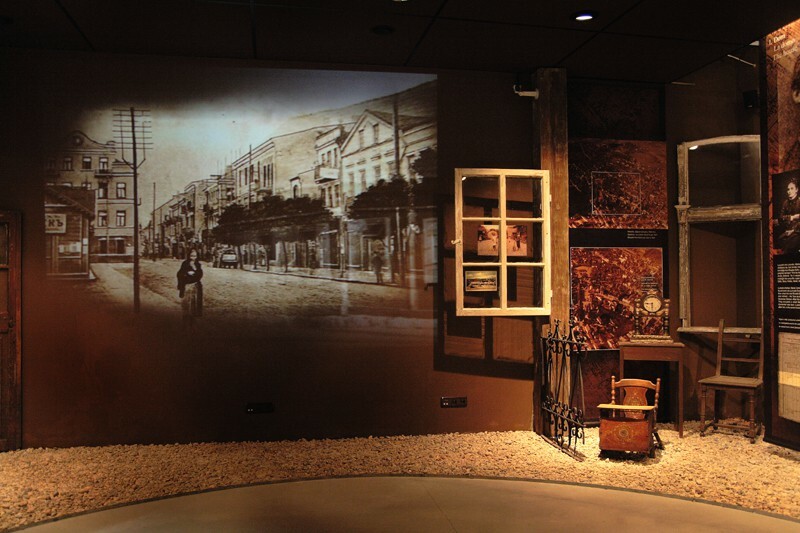 This is our permanent exhibition, which guides us through the city where the creator of the Esperanto language was born and where he had spent his childhood. The material presented on the exhibition concentrates on the multicultural character of this city, with the marketplace in the city centre that is compared to the biblical Babel Tower. That metaphor inspired Zamenhof to later create a supranational language. 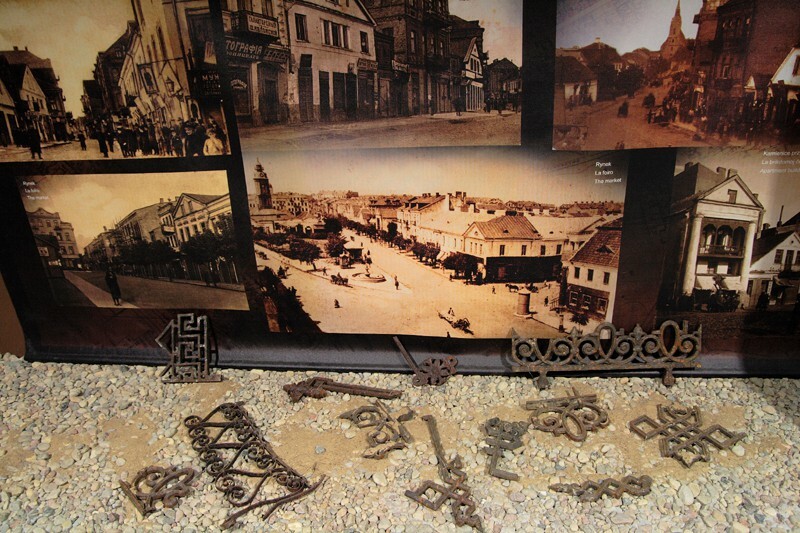 "This place of my birth and childhood years, Bialystok, directed all my efforts. (...) I was raised an idealist and taught that all people were brothers, but all that was happening around me on the streets, everywhere, made me see that there were no people, there were only Russians, Poles, Germans, Jews, etc. This bothered my soul of a child. (...) Since I thought that adults had some kind of immense power - I told myself that when I grow up I would deal with all the evil". The authors of this exhibition wanted to reconstruct the mood and the climate of Bialystok of Zamenhof’s times (2nd part of XIXth century). 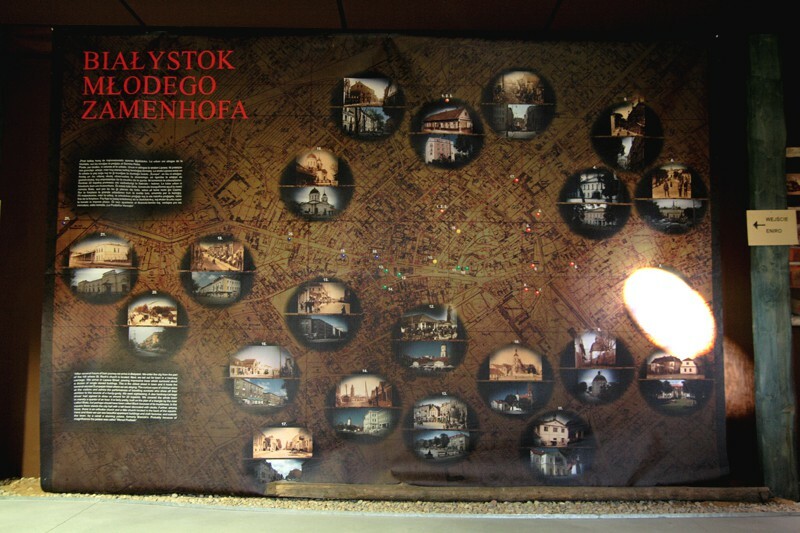 To make this happen they used old city plans of Bialystok, photos, postcards, historical documents or leaflets, which date back to the time of young Zamenhof and the period between World Wars I and II. 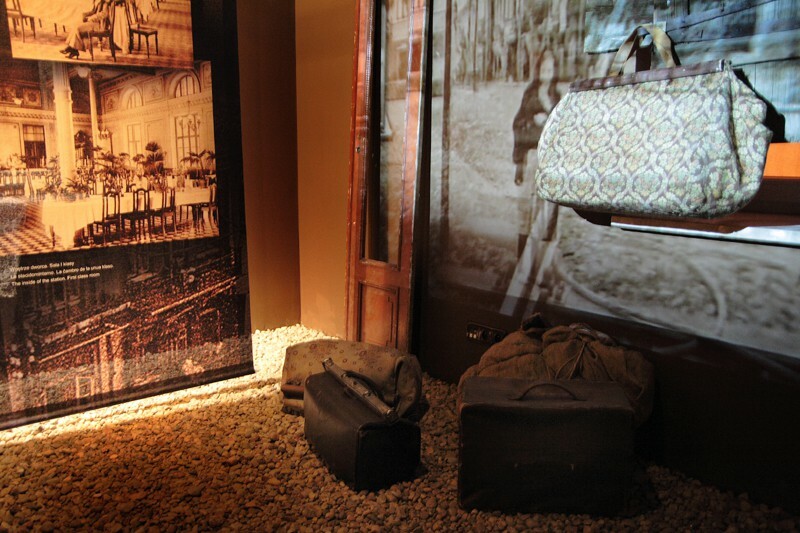 The scenery of this exhibition is supplemented by exhibits including pieces of furniture, suitcases, windows, etc. These items harmonise with subsequent parts of the exhibition. 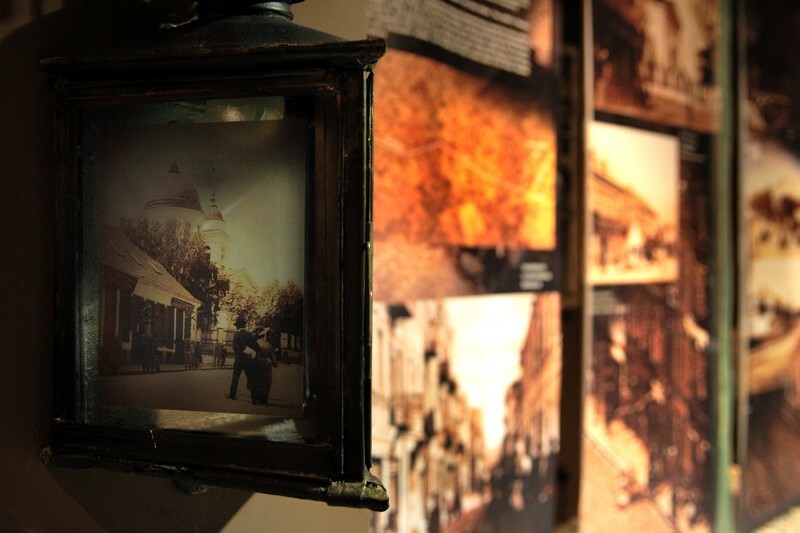 The whole exposition is divided into parts, which are strongly connected with the daily life of young Ludwik: his house and his parents, the marketplace with the town hall, his typical way to school and back, and the time when he left the city with all his family. The city with its streets, buildings, markets, parks, plays the role of a peripheral protagonist of this exhibition. Visitors walking around the exhibition should get the impression that they see the city of Ludwik Zamenhof and accompany him in his everyday trip to school and around the city. 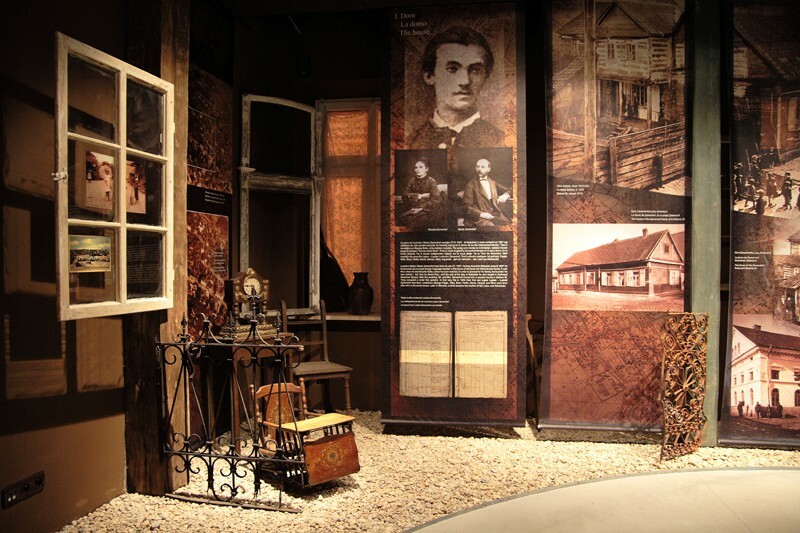 A separate part of this exposition is connected with the successors of the Esperanto language idea in Bialystok and in the whole world since 1939. A mini dictionary, which you can find at the end of this exhibition teaches words and phrases in Esperanto. 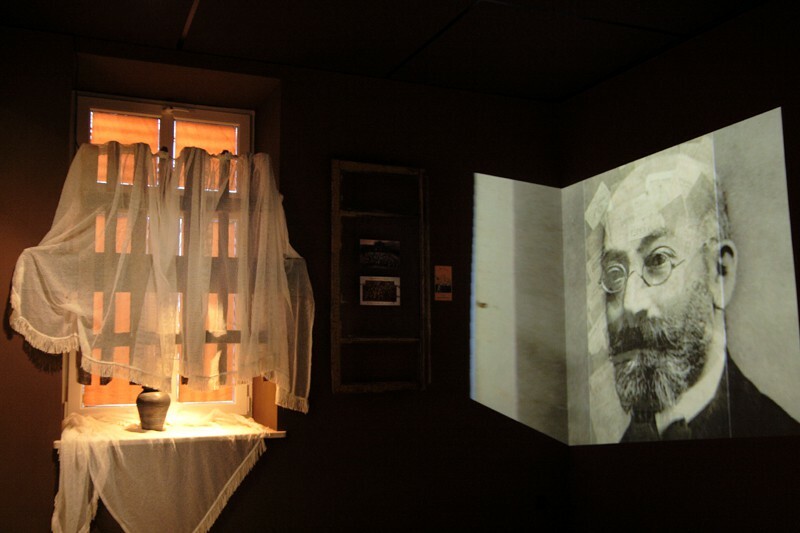 Some parts of the exhibition include a recorded voice-over, which leads visitors around and gives information about Ludwik Zamenhof and his times. 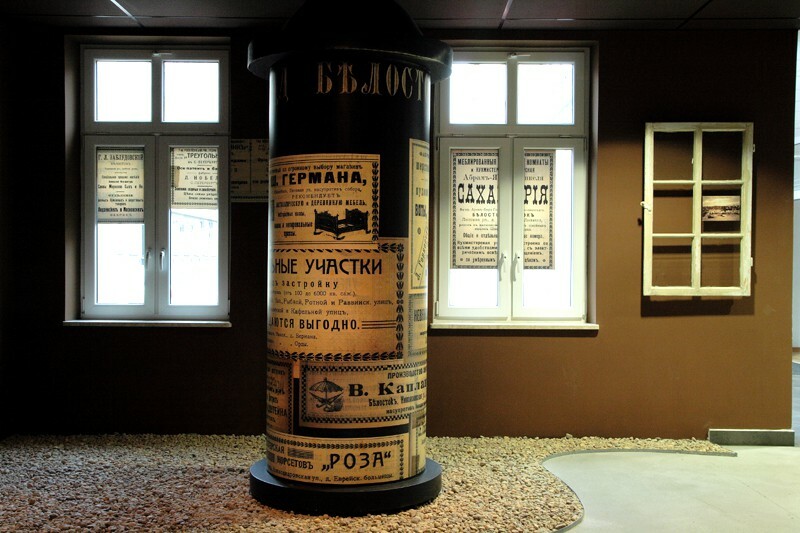 From time to time you can also hear voices from speakers in Polish, Russian and Yiddish, which remind us about the multicultural tradition of Bialystok. 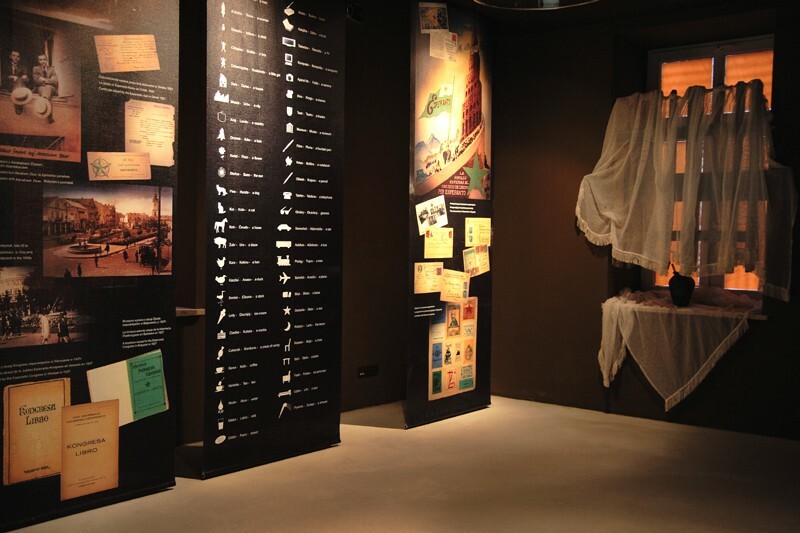 The texts in the exhibtion are available in two langauges: Esperanto and English. 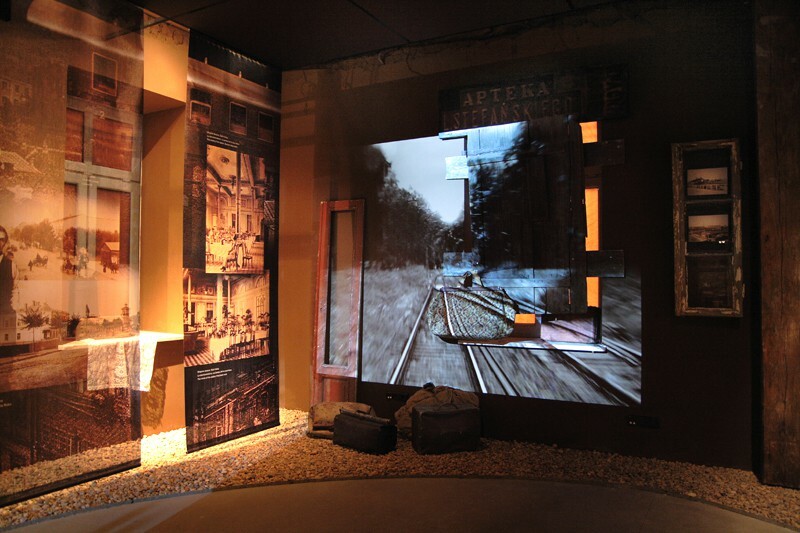 The exhibition includes numerous multimedia, screens and films. 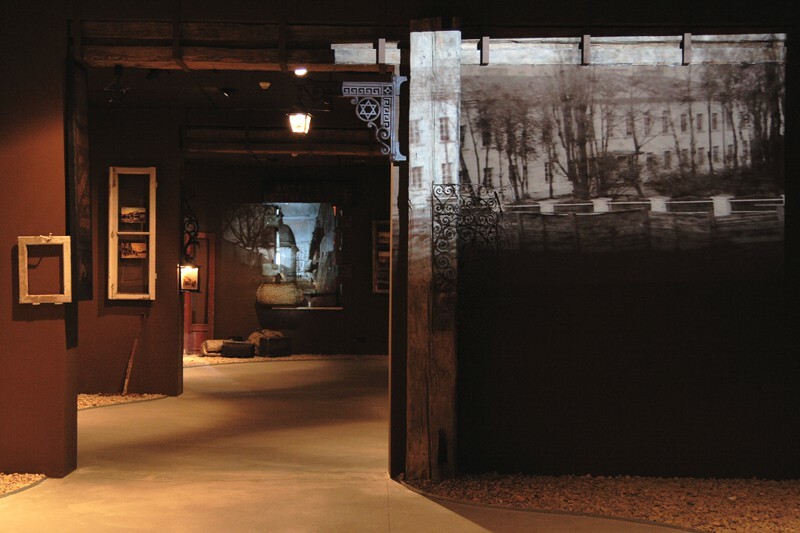 The exhibition includes citations of musical works of an anonymous composer, performed by Itzak Perlmad and the band – Kroke. Voice-overs read by the actors of the Aleksander Wegierka Theatre of Drama.